Webster’s Reaffirmation of Accreditation comprehensive visits by Higher Learning Commission (HLC) reviewers will occur in Academic Year 2017-18. In preparation, a working group has begun to assemble documentation in support of reaffirmation (in HLC’s language, the Evidence File). In Fall 2016, small groups of experts will begin to review outlines of how Webster meets the five Criteria for Accreditation and the evidence collected. 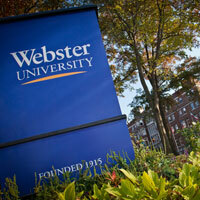 Webster is in a 10-year program for maintaining accreditation (the last comprehensive visit was in 2007-08). The new Open Pathway program, in which Webster participates, has steps to take over the 10-year cycle leading to the comprehensive evaluation and visit. With the Open Pathway emphasis on quality improvement, one step is the submission of a Quality Initiative mid-cycle. Webster submitted its Quality Initiative, titled Implementing the Quality Scorecard for Online Student Success, in July 2015. The project, led by the Online Learning Center, was approved by the HLC. Aimed at improving the success rate of on-ground students who take occasional online classes, the project is in progress and showing positive results thanks to the hard work of staff in the OLC and at the extended domestic campuses. The primary documents required for Reaffirmation of Accreditation have changed since the last HLC visit. First, prior to the visit, Webster must submit an Assurance Filing, made up of an Assurance Argument and an Evidence File. he Assurance Argument addresses the five Criteria for Accreditation in a tightly written persuasive argument – the longer, more narrative self-study of the past has been eliminated. Throughout the argument, reference must be made to evidence, which is stored in an electronic Evidence File. Second, Webster must submit materials documenting Federal Compliance, which currently includes Title IV compliance (e.g., campus crime, athletics, student outcome data) and federally-mandated items (e.g., transfer policies and practices). Due to frequent changes in federal requirements, the Federal Compliance document is drafted closer to the time of the visit. Over the last six months, a working group convened by Vice Provost Nancy Hellerud and guided by the Office of Institutional Effectiveness (OIE) has begun to lay the foundation for the Assurance Filing. The group is collecting documents for the Evidence File and drafting outlines of an Assurance Argument for the five criteria. In Fall 2016, work will begin to develop each argument fully, revise where needed, and fill in gaps. Experts will be tapped for this stage of the process.